Idiothele mira "Blue Foot Baboon"
.5-.75" DLS. 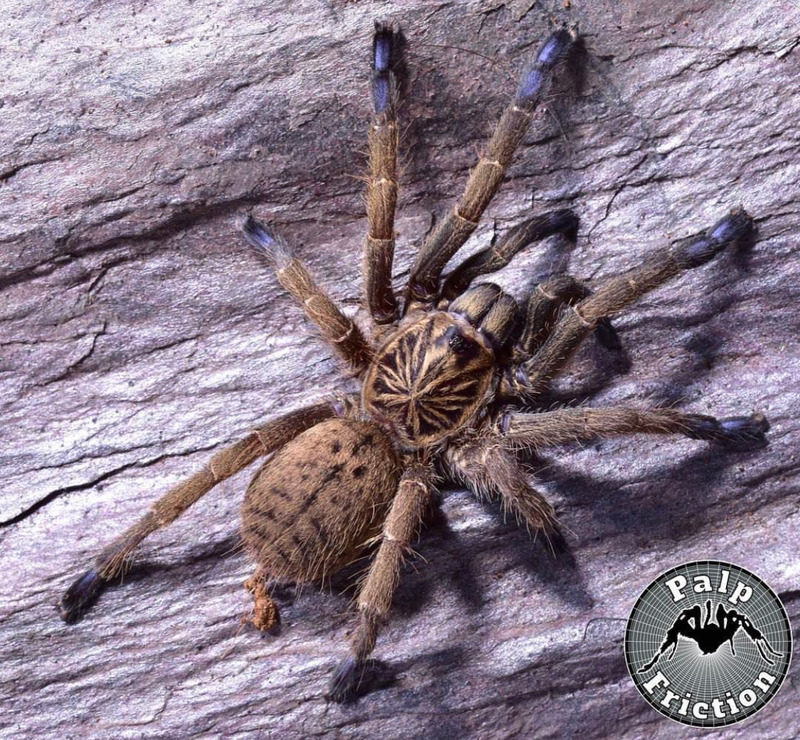 Old World terrestrial dwarf, South African trapdoor tarantula. Commonly known as the "Blue Foot Baboon".